The Spirits of Music – Sunday, April 24 – 6:30 p.m. The next Salon will be a mini pilgrimage to understand the spirits that defined the musical and dance culture of the Americas. The vibrant rhythms and melodies that Blacks brought with them from their Africa homeland established the foundations for most forms of contemporary music in South America, Caribe, and the United States. When you hear the song La Bamba, what image comes to mind? A Mexican singer, or a Black singer? If you are like most people, you have never thought of La Bamba having a connection with Africa. The song ‘La Bamba’, a traditional folk song and dance, was originally a song sung by African slaves in the port city of Veracruz, Mexico, as they worked. The song hails the MBamba peoples of Angola. 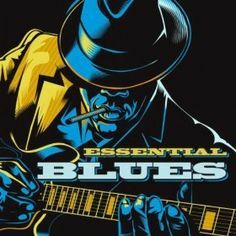 The African influence reaches deep into the roots of Tango in Argentina, Samba in Brazil, Rumba and Bolero in the Caribe, Jazz and Hip-Hop in the United States, for example. The upcoming Salon will be a spirited (no pun) affirmation that music is a ‘universal language’ that resonates with everyone regardless of its style. Argentinian folk and tango, and Brazilian bossa nova and chorinho. Fabio Bortoloni, guitar, is a Ph.D. candidate in classical guitar, and Luciana Gallo, violoncello, a Master’s student, both at ASU. An awesome 18 man singing group with great harmony and fun. An original American art form, the Syndicate is an outstanding chorus under the direction of maestro Gary Steinkamp. The beauty of the vocal harmonies makes the Syndicate an amazing chorus. Barbershop music too has its African roots with men singing spirituals and folk songs in the 1800s. The Pan Devils will bring you to experience the sands of the Caribe in your feet with melodies set to the infectious rhythm of the Calypso. The sound of the steel drums seems to continuously invite people to party. Steel drums are the national instruments of Trinidad and Tobago. For many it will be an opportunity to relive the wonderful beat of Matilda and Banana Boat songs. Capoeira is a unique art expression from Brazil. It is sometimes referred to as a form of music, a martial art, and a dance. As a martial art it became a form of defense that runaway slaves used to defend themselves from the police. 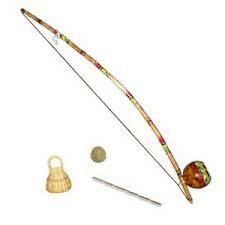 As a form of dance, it is modulated by the sounds of a berimbau, a percussion instrument of African origin. Capoeira songs are based on different rhythms, where the rhythms determine the speed, character and style of the actions inside the dance circle. Capoeira is an incredible visual show for its acrobatics and kicks. The music from the capoeira circle gave life to the Brazilian samba. Doors open at 6:00 pm, performances begin at 6:30pm. Tickets $20. All proceeds go to performers. Email [email protected] if you have not received instructions to acquire tickets. Exact address is provided upon acquisition of tickets. Seating is limited. Wine and small bites served at the intermission. Share the event with friends on Facebook. This entry was posted in Uncategorized, Performances, April 2016 and tagged Scottsdale, Zen Garden, Global Experience, Music Appreciation, Home Concert, Classical Guitar, Capoeira Show, Black roots, African roots, Latin Music by John Zerio. Bookmark the permalink.